Paolo Fortina received his MD/PhD in Pediatrics from the University of Turin School of Medicine in Italy and in 1991 joined the Department of Pediatrics at the Children's Hospital of Philadelphia and the University of Pennsylvania School of Medicine. His research focus is in genomics to create novel diagnostic and treatment options. His research has involved studies of the expression of human genes in normal and diseased states and the detection of nucleic acid alterations. In 1997, he contributed to the development and validation of the OLA-PCR cystic fibrosis diagnostic panel commercialized by Applied Biosystems, and to the identification of the autosomal recessive neurosensory deafness connexin 26 gene. In the field of microarray-based technologies, he has been involved in developing technologies including a thermal gradient chip with Hitachi, and a 4-color scanner. Other efforts include array-based sequencing-by-hybridization with Callida Genomics, and simultaneous typing of SNPs on chromosomal regions undergoing LOH using customized Affymetrix tag-arrays. Currently he is Professor of Cancer Biology and Medical Oncology at Thomas Jefferson University in Philadelphia. He leads the NIH-NCI-funded Cancer Genomics Laboratory at the Kimmel Cancer Center where he works on mRNA expression profiling for the retinoblastoma pathway, X-linked mental retardation, and transcriptome analysis of platelets in patients with heparin induced-thrombocytopenia. Follow-up of these studies, including work on long and short non-coding RNA and whole-exome sequencing, are performed using next-generation sequencing technology. 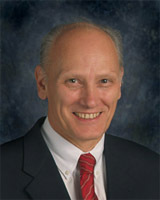 He has contributed to more than 130 peer-reviewed publications in journals, has participated in grant review panels nationally (NIH and NSF) and internationally and is member of the Editorial Boards of the American Journal of Hematology, Clinical Chemistry, Human Mutation, European Journal of Human Genetics, Journal of Cancer Therapeutics and Research and Journal of Genomics and Proteomics. 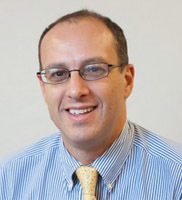 Federico Innocenti, MD, PhD, is an Associate Professor in the Division of Pharmacotherapy and Experimental Therapeutics of the UNC Eshelman School of Pharmacy at the University of North Carolina (UNC) at Chapel Hill. He is the first Associate Director for Oncology Research in the Institute for Pharmacogenomics and Individualized Therapy. He holds appointments in the UNC School of Medicine and the UNC Lineberger Comprehensive Cancer Center. Dr. Innocenti obtained his MD from the University of Pisa, Pisa, Italy, followed by residencies in Clinical Pharmacology and Oncology. He has a PhD in Pharmacology, Toxicology, and Chemotherapy. He joined UNC in January 2011 after twelve years of research in cancer pharmacogenetics at the University of Chicago. At the same institution, he directed the Pharmacology Course for the Pritzker School of Medicine for the seven years. Dr. Innocenti is the principal investigator of numerous pharmacogenetic studies within the Alliance of Clinical Trials in Oncology (previously Cancer and Leukemia Group B), where he serves as the Chair of the Gastrointestinal Solid Tumor Correlative Science Group. He is the Chair of the Oncology Section at the American Society of Clinical Pharmacology and Therapeutics. He has published more than eighty peer-reviewed publications and book chapters in clinical pharmacology and pharmacogenomics, and he is the editor of three books in the field of pharmacogenomics. Dr. Innocenti sits on the editorial board of Journal of Clinical Oncology, Pharmacogenetics and Genomics, Therapeutic Drug Monitoring, Current Drug Metabolism, and others. He is the Associate Editor for Pharmacogenomics. He has organized three Golden Helix Symposia on genomic and translational medicine in 2009, 2010, and 2012. One of Dr. Innocentis exemplary achievements is the elucidation of the genetic basis of severe neutropenia in cancer patients treated with irinotecan, a poster child for pharmacogenetic. According to these results, the label of irinotecan was revised in 2005. Dr. Innocenti is a co-inventor of the FDA-approved UGT1A1 genetic test for patients treated with irinotecan. Dr. Innocentis NIH-funded research program is currently focused on the discovery of genomic determinants of efficacy and toxicity of cancer chemotherapy, integrating clinical genomic investigation with functional evaluation of gene variation. 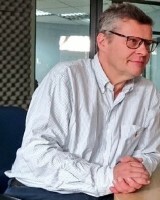 Larry J. Kricka D. Phil., F.A.C.B., C.Sci., C.Chem., F.R.S.C., F.R.C.Path., is Professor of Pathology and Laboratory Medicine at the University of Pennsylvania and Director of the General Chemistry Laboratory and Director of the Critical Care Laboratory at the University of Pennsylvania Medical Center. Awards and honors include: the Society of Analytical Chemistry Silver Medal (Royal Society of Chemistry) (1981), British Technology Group Academic Enterprise Competition Award (1985), Prince of Wales Award for Innovation and Production (1989), Queens Award for Technological Achievement (1990), Rank Prize for Opto-Electronics (1991), the AACC Award for Outstanding Contributions to Clinical Chemistry in a Selected Area of Research (1998), and the Ullman Award (2006). In 2002 Dr Kricka was the Distinguished Visiting Scholar at Christ's College, Cambridge, England. Research interests include analytical applications of bioluminescence and chemiluminescence, DNA probe assays, analytical microchips for genetic and other types of testing, analytical applications of nanotechnology, analytical interferences caused by heterophile antibodies and direct to consumer testing. Dr Kricka holds over 30 U.S. patents; and is the author/co-author of over 500 articles, abstracts, book chapters, and papers; and 22 books. 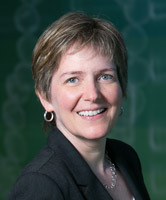 Dr. Kricka is Editor-in-chief of Luminescence, a member of the editorial board of Clinical Chemistry, Lab-on-a-chip, and Analytical Biochemistry, and past Editor of the Journal of Immunoassay. He was President of the American Association for Clinical Chemistry in 2001 and is currently President of the International Society for Bioluminescence and Chemiluminescence and a member of the International Federation of Clinical Chemistry and Laboratory Medicine (IFCC) Executive Board. Professor Milan Macek Jr. MD, DSc is the chairman of the largest academic medical / molecular genetics institution in the Czech Republic, which also comprises a research / diagnostics reproductive genetics centre (http://ublg.lf2.cuni.cz). He is also the Vice President of the European Society of Human Genetics, board member of the European Society for Human Reproduction and Embryology and of the European Cystic Fibrosis Society. His institute is a "clearing centre" for dissemination of knowledge in genetics gathered within various international European projects, such as CF Thematic Network, EuroGentest, EuroCareCF or Techgene, to Central and Eastern Europe. Prof. Macek is national coordinator of Orphanet, active member of Eurogentest, has been the chief advisor of the Czech EU Council Presidency under which the EU Council recommendation on an action in the field of rare diseaseswas adopted in June 2009. This EU document also has a bearing on the provision of molecular genetic diagnostics of rare monogenic diseases in Europe and beyond. Prof. Macek also serves at the EUCERD.eu committee on rare diseases. He has been involved in 26 international grants, so far and is author-/coauthor on 67 international publications that have been cited more than 2100x and reached a mean impact factor of 9,77, with H-index of 23. George P. Patrinos received his PhD from the University of Athens, Greece in 1998. He subsequently pursued post-doctoral training in Erasmus University (Rotterdam, the Netherlands), where studied developmental aspects of human globin gene transcriptional regulation. In 2004, became independent researcher in Erasmus University Medical Center (Rotterdam, the Netherlands). In 2009, he was appointed Assistant Professor of Pharmacogenomics at the University of Patras (Greece), and in 2010, he was appointed National representative at the CHMP Pharmacogenomics Working Party of the European Medicines Agency (London, UK). Since 2013, he serves as Associate Professor of Pharmacogenomics at the University of Patras (Greece). His research interests involve pharmacogenomics for hemoglobinopathies and neuropsychiatric disorders, transcriptional regulation of human fetal globin genes and genotype-phenotype correlation in human genetic disorders. His group also has a keen interest in developing National/Ethnic Genetic databases to document the genetic heterogeneity in different populations worldwide and to ascertain the impact of pharmacogenomics in healthcare professionals and the general public. 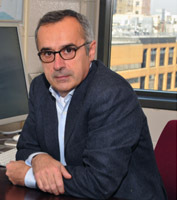 Prof. Patrinos has more than 160 publications in peer-reviewed scientific journals and textbooks, he is the Editor of the textbook Molecular Diagnostics, published by Academic Press, now in its 2nd edition, while serves as Communicating Editor for the prestigious peer-reviewed journal Human Mutation. He has given several lectures in international conferences as invited speaker and his research projects received funding from national and international funding agencies. Juergen Reichardt has a long and distinguished career in gene discovery and, more recently the functional assessment of DNA variants. Examples of these include: cloning of the gene for classic galactosemia encoding galactose-1-phosphate uridyl transferase (GALT) with Nobel-prize winner Paul Berg in 1988 at Stanford. Reporting the first galactosemia mutations with Savio Woo in 1991 while at Baylor. Cloning the human gene for epimerase-deficiency galactosemia (UDP-glucose 4 epimerase; GALE) in 1995. Reporting the first association between genetic variants in the human steroid 5a-reductase type II (encoded by the SRD5A2 gene) and prostate cancer in 1999. He identified and characterized significant biochemical and pharmacogenetic variation in human steroid 5a-reductase type II (encoded by the SRD5A2 gene) in 2000. He also discovered common somatic mutations in prostate cancer in the human steroid 5a-reductase type II (SRD5A2) gene in 2004. He was on the faculty at USC (the University of Southern California) for 13 years. 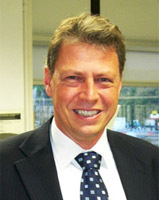 Juergen arrived in 2005 in Australia as the Plunkett Chair of Molecular Biology (Medicine) in Sydney where he continued many of his investigations as well as branching out into new areas by establishing new collaborations in Australia particularly in relationship to complex genetic traits, especially heart disease. 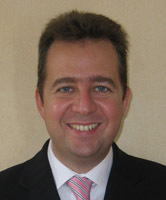 Juergen was the Head of School, Pharmacy and Molecular Sciences at James Cook University. Furthermore, he has served as the Associate Dean Research for the Faculty of Medicine, Health and Molecular Sciences at James Cook University. In January 2016, Juergen will take up the position of Vice Chancellor, Research and Innovation at YachayTech University in Ecuador, the first research-intensive university in Latin America which is modelled on CalTech. Juergen Reichardt has coauthored some 150 peer-reviewed publications with some 4,000 citations. Furthermore, he has held uninterrupted external funding for some 20 years on two continents.  He also serves on the Council of HuGO, the Human Genome Organization, has coorganized various international meetings, incl. the HGM 2012 (Human Genome Meeting 2012 in Sydney; Australia) and a series of PacRim Breast and Prostate Cancer Meetings in 3 different countries, he was a visiting professor at many universities, incl. Rome in 2013 and serves also on ten international editorial boards. Finally, he has lived in seven countries on four continents bringing a truly international perspective to his endeavors. Ron H.N. van Schaik, PhD is a registered European Clinical Chemist (2003) andProfessor of Pharmacogenetics (2008). He is working at the department of Clinical Chemistry (AKC) at the Erasmus University Medical Center (Erasmus MC) in Rotterdam since 1998. He studied chemistry at Utrecht University (specializations Biochemistry, Clinical Chemistry and Molecular Biology) and received his PhD in 1992. He was trained in molecular biology at Cold Spring Harbor Laboratories in New York. From 1992, he worked as post-doc at the Erasmus University (Dept. Endocrinology & Reproduction) and the Academic Hospital Rotterdam (Dept. Pathology, Dept. Clinical Chemistry) on translational research involving molecular biological testing. Currently, he is medical coordinator of the AKC units Specialized Research & Development (BO&O) and Thorax center. He is head of the Pharmacogenetics Core Laboratory AKC (part of BO&O) and he is responsible for Point-of-Care testing at the Erasmus MC. Dr. van Schaik leads a research group on pharmacogenetics, in which the translation to implementation for patient diagnostics is the main topic. Current lines of research include Transplantation/immunosuppression, Oncology, Psychiatry, Anaesthesiology, Pain and Virology. He has published over 75 articles on pharmacogenetics, and he participates in national and international advisory committees on this topic. As a second line of research, he is involved in studies on new markers for the detection of prostate cancer. In 2001, Dr. van Schaik received the Ortho Clinical Diagnostics Award of the Dutch Society for Clinical Chemistry for outstanding research. In 2008, the Pharmacogenetics Core Laboratory AKC got internationally recognized by the International Federation of Clinical Chemistry (IFCC) as a Reference Laboratory for Pharmacogenetics.